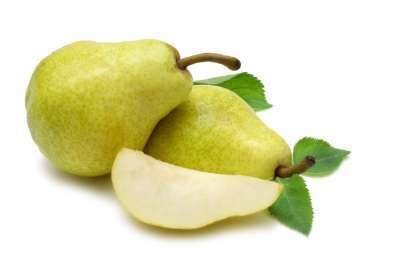 The most universally grown pear. Ready for picking from September. The medium sized fruit is bright yellow with patches of russet and occasional red streaks on the sun exposed side. The white, creamy flesh is juicy with a very characteristic musky flavour. The trees are moderately vigorous, somewhat spreading and regular croppers. Suitable pollinators are: Conference, Onward, Improved Fertility, Dr Jules, Concord etc.